And got the loom warped up in just about two hours or so. 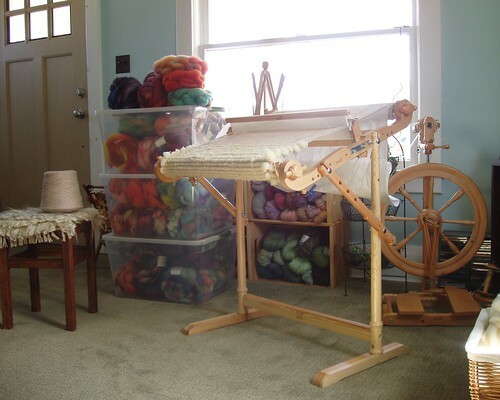 The next day I had a lovely group of ladies over for spinning and knitting. I worked on this throughout the day and finished by evening. It ended up being at least 4 feet long. Honestly I’m not sure what to do with it. 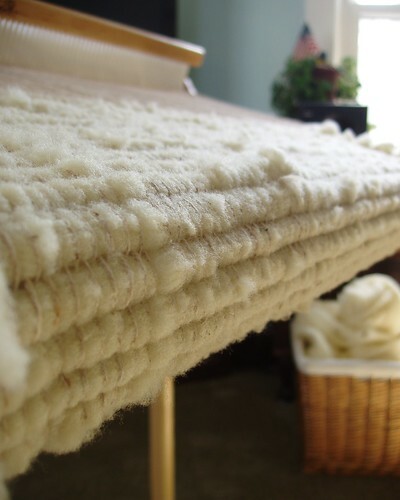 The fiber is very fine and short, so I’m worried that so many little tufts will pull out that eventually there wouldn’t be anything left between the warp threads! Rachel suggested I felt it lightly to help it hold together better. My favorite part is how quick it was to weave! oh wow, that is so cool I love it! 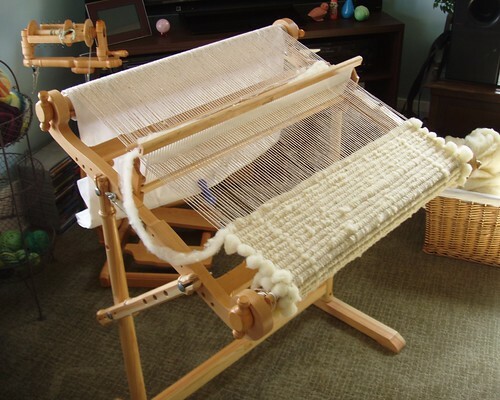 I’ve been thinking of getting a small loom, just to learn how to do it… think I might have to after seeing this! Nice! I like it. 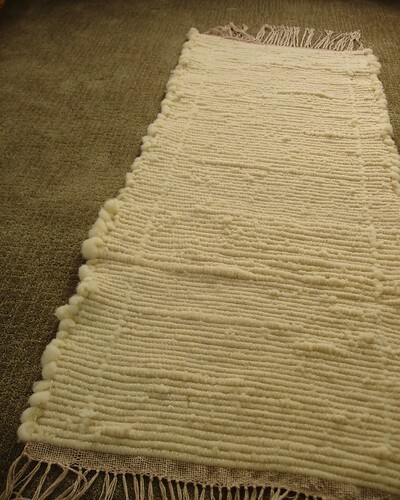 I could see felting it and using it as a rug. it makes me want to lie right down on it and take a nap!